I was shocked to read Forward,com this morning and find two hespedim for the fine Hebraist and scholar Alan Mintz. I want to share with you my one strong memory of him, not exactly as scholar but in a transformative moment. What I remember goes back to 1973. Alan was the original energizer for calling together the first inter-havurah retreat. He sent out a one-person manifesto arguing that the three major strands of Jewish identity and action of the previous century — religious Judaism, secular Yiddish socialism, and Zionism — had all exhausted their creative energy, and something new was needed. He suggested that perhaps in the newly emerging havurot (an assembly of like-minded Jews) there were seeds of that new approach, and he called for a meeting of people from the three East Coast havurot, at Rutgers Hillel in the spring of 1973. I received the manifesto, with an invitation to come as the representative of Fabrangen, in Washington, DC. I was both excited and horrified — excited at the possibility of bringing together the separate simmering energies of the separate havurot; horrified at the idea of being singled out alone as the representative of Fabrangen, at that point the most egalitarian, most feminist and most communal-democratic of the havurot. I wrote Alan back that I could not possibly accept, and that Fabrangen as a community would have to decide whether to take part and if so who to send. He did, and the community voted to send five members, including me. The retreat came on the heels of the first National Jewish Feminist Conference, called by “Ezrat Nashim,” a group of women members of the New York Havurah — which was a startling and transformative moment in Jewish history. That energy itself lifted ours when we gathered at Rutgers. Our retreat itself was in a much quieter way crucial to the sense of an emerging movement, not just a few sporadic eruptions in a few cities. We not only shared our ways of davvening, our approaches to activism for peace and social justice and our ways of Torah study, but prepared the way for what became several years of gatherings at a rambling retreat center in New Jersey called Weiss’s Farm. Breira (the first American Jewish organization to call for a two-state peace between Israel and Palestine) was conceived, though not yet born, that weekend, and so was a workshop on “New Halakha” that became the stimulus for Kesher, an inter-havurah mimeographed newsletter edited by Richard Friedman, and when that spawned the magazine I edited, Menorah: Sparks of Jewish Renewal. At Rutgers we invented the notion that each of the three havurot — Havurat Shalom in Somerville Mass, the New York Havurah, and Fabrangen would take responsibility to organize one retreat a year, to meet for shalosh regalim — but not the three traditional Jewish pilgrimage festivals,, when we mostly wanted to be at home with our own chevra, but three long American weekends when there were Monday holidays. It was a brilliant approach, because instead of leaching energy away from any of the three havurot, it strengthened each one internally, benefitting us all. And no paid staff was necessary. Communal anarchism in practice! Fabrangen took the first assignment, and we organized the retreat for Columbus Day weekend that fall, which turned out to coincide with Sukkot. And the Yom Kippur/ Ramadan War began just days earlier. We met in agony and creativity. So at that key moment in early 1973, Alan was a scholar who leaped into the dark to light a spark that grew beyond him. Since then, it has been mostly his scholarship that has enlivened Jewish life. I remember that moment with joy and admiration. I am sad that we need to say, Baruch dayan emet. 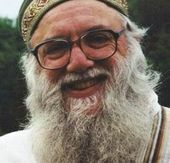 Rabbi Arthur Waskow, Ph.D., founded (1983) and directs The Shalom Center, a prophetic voice in the Jewish, multireligious, and American worlds for justice, peace, and healing of the Earth. This story "What I Learned From Alan Mintz" was written by Arthur Waskow. Rabbi Dr. Arthur Waskow founded and directs The Shalom Center, a prophetic voice in the Jewish, multi-religious and American worlds for justice, peace, and healing of the Earth.